Despite the incredible success of the Fitbit Force since its introduction, there is now a recall for the wearable tech due to complaints from 1.7% of owners experiencing a skin irritation. 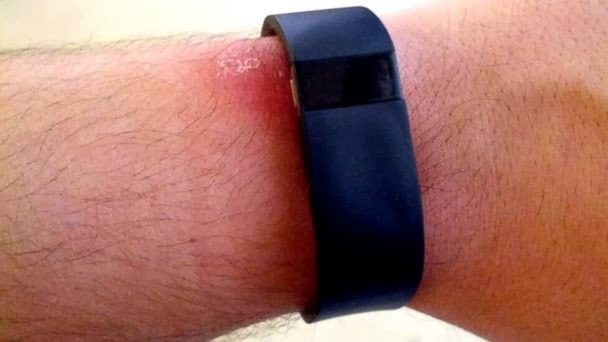 After analysis by third parties, Fitbit announced that the irritations “were likely the result of allergic contact dermatitis”, however they continued to announce that the irritant could be a few different things. Whether it be the nickel found in the surgical grade stainless steel used in construction, the materials used in the strap of the tech, or even the adhesive used during assembly, the initial voluntary recall has escalated to an official announcement by the U.S. Consumer Product Safety Commission (CPSC). Fitbit is offering full refund/ exchange to Force owners regardless of where the device was purchased. If you are experiencing problems, or have questions concerning the recall, there is a return kit request form available as well as a letter from the CEO and co-founder of Fitbit, James Park, describing the situation. For me, the issue is not a matter of what is causing the irritation, but why and how was it allowed. A new product will almost always have its quirks, and with wearable technology being so revolutionary, there is no surprise as the initial kinks are worked out. With the development of new wearable technology, our laws and regulations on it need to adapt as well. This scenario, although not life threatening, makes me wonder what else could unknowingly slip by our current regulations and proceed with public harm as so many people jump onto the bandwagon to have the latest in wearable technology.